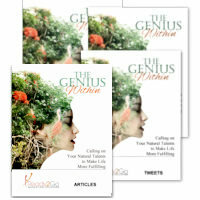 Special Report: The Genius Within - Calling on Your Natural Talents to make a Life More Fulfilling from Ready2Go Marketing Solutions, Inc.
Did you know that you are a genius? We all have a genius inside us, and that talent is not fixed or fully evolved, but dynamic and able to grow. This means we have the capacity to cultivate our talents and intelligence to improve our lives and, to ultimately realize our own unique inner genius and share it with the world. Has your talent been locked inside you trying to get out? Are you frustrated by an inkling that you’re destined for greatness but are currently living a life that’s less than special? You’re not alone. There are millions of people who have not accessed their own special, distinctive qualities. But there is hope. New evidence suggests that successfully accessing those inner gifts is well within our reach. This special report is designed for people who want to understand, tap into and unleash their own, exceptional inner genius. It’s for people who want to feel more fulfilled living the life they were meant to lead. 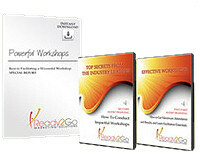 In this special report your clients will reveal the untapped world of their own ‘inner genius’. They will learn more about what genius really is, and get tips to help them identify their own particular talents. They will also discover how to tap into those talents by exploring what it takes to operate in genius mode, and discover the personal characteristics and work habits of the renowned geniuses and how they nurtured their own extraordinary talent and got results. Let the journey to discover their inner genius begin here! This report is full of wisdom, insights and an easy-to-follow formula that will help your clients unlock their unique genius zone, and then activate it to step powerfully into the happy and fulfilling life they were meant to lead.